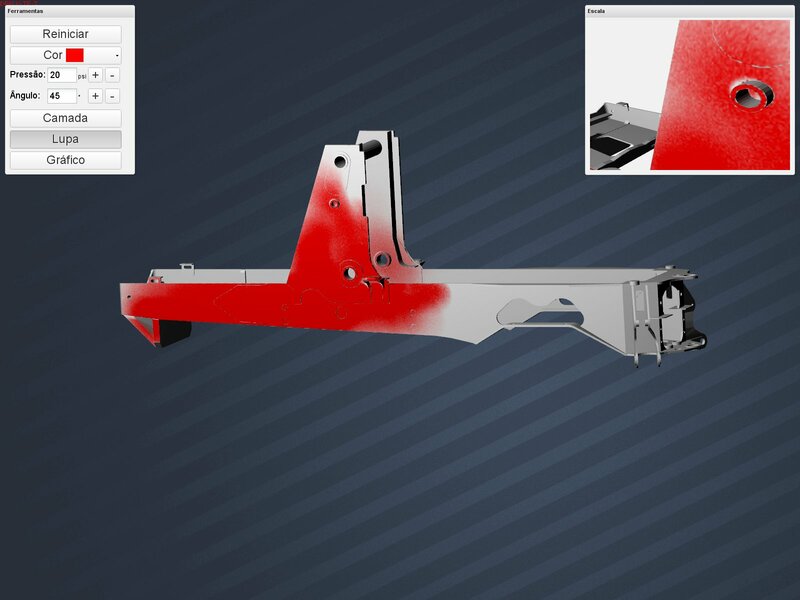 PiVi VR Painting Simulator allows the simulation of the painting process of three-dimensional real parts. The simulator is able to evaluate the effect of the shadow of geometric details and to indicate to the operator the most suitable strategy for painting. 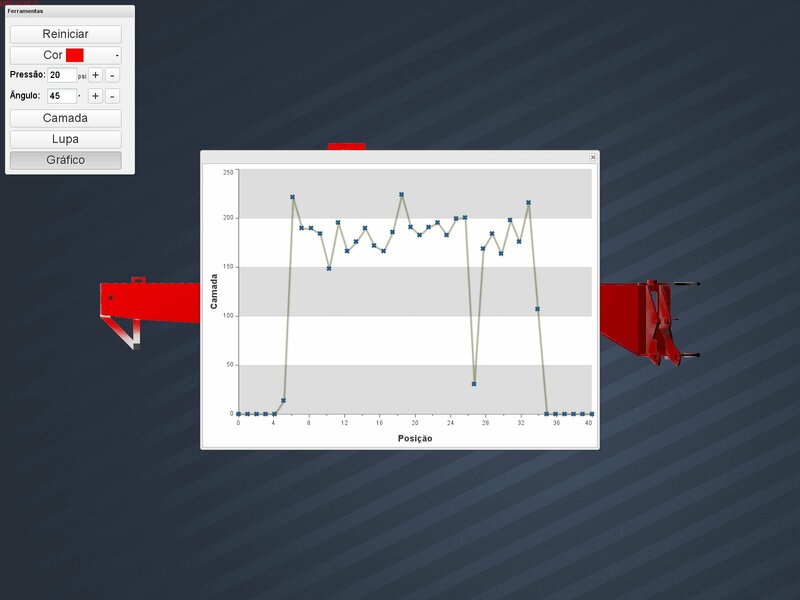 The PiVi simulator works with the following paint parameters such as viscosity, pressure and gun. This parameters can be regulated and their effect analyzed on the quality of the paint. Therefore different paint quality metrics are established in PiVi, among them: Layer thickness, Orange Peel Effect, Drain, and others. 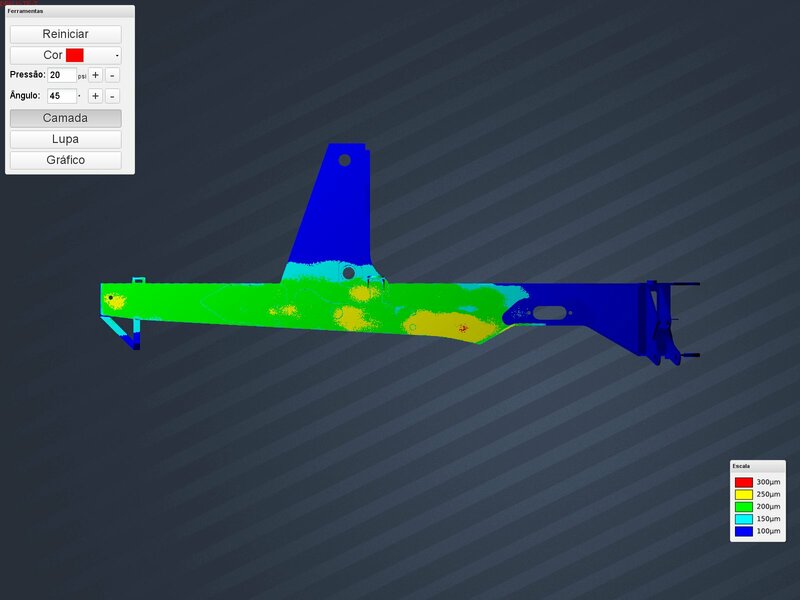 With the visualization tools you can check at the painted part the most affected regions. 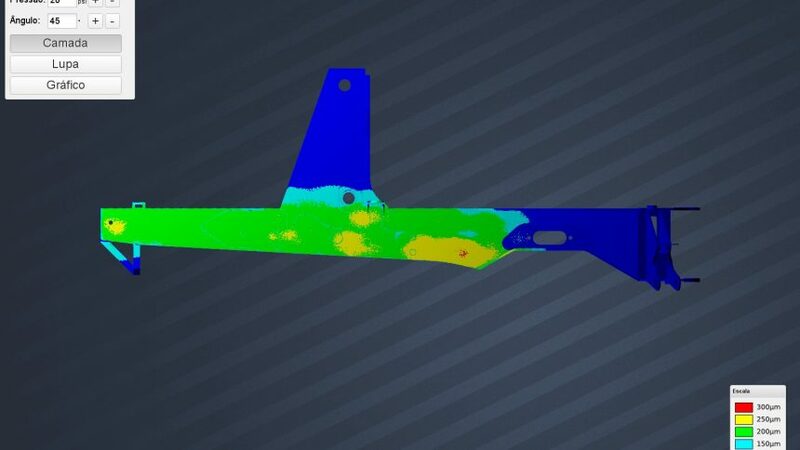 The PiVi System offers different reports, for example, the trajectory, speed and the angles of the spray gun in relation to the coating obtained in the painting. In addition, it is possible to determine a cut in a given region and to evaluate the thickness of the ink layer.